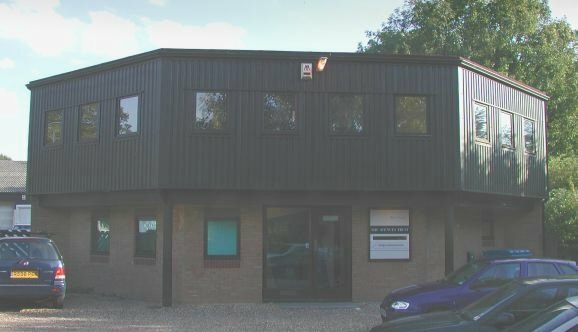 Our office is located in Fulbourn on the eastern edge of the city of Cambridge, U.K.
From the M11 heading North take Junction 9 to join the A11 to Newmarket. Leave the A11 at the fourth exit signposted Fulbourn on the Balsham Road. Continue on this road for approx 1½ miles. Bear left into Doggets Lane and bear another left into Cambridge Road until you eventually pass a windmill on your left, at the top of a hill. Take the next turn on the right, Hinton Road. Look for the Baker's Arms pub on left, and immediately after the pub, turn left into Teversham Road. After about 200m, turn right into Breckenwood Road - this is a small road immediately before the railway crossing. Ash House is 50m on the right, an octagonal building. Cambridge RF is on the first floor. From the A14 (formerly A45) heading South, initially follow signs towards Felixstowe and Newmarket (do not drive into Cambridge centre). Take the A14 exit signposted A1303 / Teversham / Cambridge for approximately 1 mile. Take the first left turn for Teversham at the airport roundabout, followed by first left into Church Lane (signposted Teversham). Turn left again into High Street (the Rose and Crown pub is on the corner). and continue along this road for approx 1½ miles. At the railway crossing, slow down. Turn left immediately after the railway line into Breckenwood Road. Ash House is 50m on the right, an octagonal building. Cambridge RF is on the first floor.